Legend of Zelda! NES light gun games! Gunslugs! Discounts! More! It's the start of another week, and as normal we have the European Nintendo Download Update releases to consider. It's a relatively busy week ahead with a couple of retail titles and some varied downloads across both eShop stores, so let's jump straight into the details. 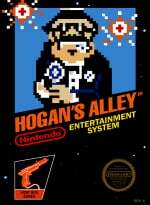 Hogan's Alley (Nintendo, €4.99 / £3.49) - This was a Zapper game on the NES, and like Duck Hunt before it arrives on the Wii U with Remote pointer support, allowing modern gamers to sample the simple joys of light gun shooting. In this one you take on multiple levels shooting at spinning cardboard targets or shoot at tin cans to keep them up in the air; it all sounds pretty simple, but we'll take some shots for a review. Wild Gunman (Nintendo, €4.99 / £3.49) - "You mean you have to use your hands? That's like a baby's toy!" Perhaps more famous for its cameo in Back to the Future: Part Two than as an actual game, this is another NES light gun title given the Wii Remote treatment. We'll head back to the past to bring you a review in the future, or something. 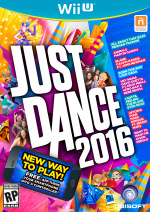 Just Dance 2016 (Ubisoft, €44.99 / £29.99) - More dancing shenanigans with some extra weirdness thrown in this year; there is a song about stepping on a Chihuahua, after all. The Wii U version will include support for the subscription-based Just Dance Unlimited (one month free with the purchase), which provides access to new songs and those from the older games. Available from 23rd October. Gunslugs 2 (Engine Software, €4.99 / £4.49) - Originally developed by OrangePixel, this is an intense pixel-based action game with randomly generated levels, pumping music and a notable '80s pop culture vibe. We'll have a review with you prior to launch, but until then you can check out our interview with the publisher and developer. Wizdom (Moving Player, €9.99 / £8.99) - This title seems to blend match-three puzzling with aspects of exploration, with the fantastical plot placing you in the vital role of producing outfits to satisfy demanding clients. It sounds bonkers but could potentially be fun, so we'll check it out in a review. The Legend of Zelda: Tri Force Heroes (Nintendo, €39.99 / £34.99) - This spin off utilises the graphics engine and mechanics first seen in The Legend of Zelda: A Link Between Worlds, but shifts the focus to local and online co-op play. The totem mechanic with three players is absolutely vital, while single players need to work with 'doppels' that are switched around on the touch screen. Our review will be with you prior to release, but until then you can check out our full preview. Available from 23rd October. Free HOME Theme - "The Legend of Zelda: Tri Force Heroes: Totem Team" - for purchases made before 17th November. Ashley's Halloween (Nintendo, €1.99 / £1.79) - Available from 23rd October. Legend of Zelda: Tri Force Heroes: Company of Three (Nintendo, €1.99 / £1.79) - Available from 23rd October. That's everything for this week's European update - let us know what you plan to download in the poll and comments below. Hogan's Alley for me at the very least. Where's Gravity Falls: Legend of the Gnome Gemulets? Tri Force Heroes and, at £7.49, Resident Evil Revelations for me! Might grab Gunslugs 2 as well, if I'm feeling flush! I will get a physical copy of Tri Force Heroes. May get RE Revelations on Wii U. Wanna play the game but can't be bothered buying hard copy and going through the process of passing it on whilst complete. Although I'd prefer a £5 price point so it'd feel like a rental of old. I wonder if Marvellous will ever put Rune Factory 4 on sale? 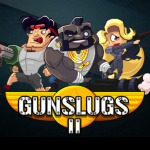 Gunslug 2 for me, they had me at "randomly generated levels". Tri Force Heroes for me, but physically. Also, at that price, Resident Evil Revelations will be mine! I can't wait to get it!!! Amazon, get this thing shipped already. So what keeps Nintendo from releasing Super Scope games on Wii U? I'd be interested in Revelations at this discounted price if I hadn't just got it as part of the latest Humble Bundle. Definitely getting Wild Gunman though. Just because. I mean you have to get that game this week, of all the weeks. Maybe Resident Evil Revelations on Wii U... Think I'm gonna pass on Tri-Force Heroes. The demo did nothing to convince me. Although it seems like it would be fun playing with three friends locally, that's not something I'm going to be able to do regularly and I didn't enjoy playing online. I really hope the Sega themes comes to Europe soon. It's a shame Wild Gunmen is not available on Wednesday, as Wednesday is October 21st 2015. I'm getting the Zapper games if they come to America, but I'm also getting Tri-Force Heroes as well. I'm more looking forward to celebrating 10/21/2015 a day late by learning how to shoot like Marty McFly. On a side note, weren't the Light Gun games listed on that same list that leaked Twilight Princess HD? If so, the rumors are looking a bit more believable now. @skywake What's so special about this week relating to Wild Gunman? That it was released in NA (where you are not, as far as I understand) on October 18th 1985? Argh, goddammit! I want Fairune!!! Nothing for me. This makes it... Ah I lost count. It's been a long time there was something for me. @Shinnos That makes sense, I didn't enjoy Four Swords (GameCube) much either because the friend I played with was rushing all the time. The Nintendo games I've been playing online lately have not been much fun either. I've always thought Nintendo online players were the best but I changed my mind, now I think most of them are online trolls. I think I should find a fair group to play Monster Hunter 4 Ultimate with, because I honestly had a big time when playing 3 online on Wii. Resident Evil Revelations is a must-buy at that price but I've already bought 3DS and Wii U versions. the resident evil games for 3DS are must buys!!! top quality games. mercenaries is very addiciting! @VanillaLake Yeah, in the two games I had, the first group had a guy who wouldn't cone and stand on the triforce to leave from the lobby until we totemed and smashed the chest on top of the pillars and then logged off immediately after that (I don't know if he was trolling or just thought that was the game!?!). The next time I got into the actual game, but one guy kept (accidentally?!?) throwing me down a hole and only co-opetating with the multiplayer tasks if he was the one doing the main actions, which was very annoying when me and the other player had the outfit that let you fire 3 arrows and he only fired one arrow and KEPT missing the balloon we had to hit to retrieve the key to continue. I will finally pick up RE:Rev. Still got 10€ on my eShop account and i have been waiting for a discount. This discount makes me genuinely want to consider getying Conception. I didn't like the RE: Revelations demo. Was it a fair representation of the full game? VERY happy to see two more Zapper games. Now all we need is Gumshoe, which is my favorite of the four Zapper games Nintendo made. Kind of weird they never made any more than that. And all four were made by 1986. My thoughts exactly. I had a feeling that list was true and this only makes it more believable. Would love to see Twilight Princess HD. Damn, that Revelations discount! Plus the release of Secret Files Tunguska, plus that of Konami Krazy Racers, plus... Time to recharge my account! Oh what a glorious week to be a Back to the Future fan! 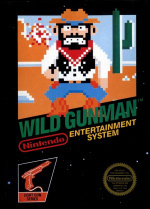 Never played Wild Gunman before but I can't wait to get it. May pick up Hogan's Alley as well. Decent week for me this time. As well as Triforce Heroes, we should see hoverboards and shoelaces that tie up automatically becoming mainstream very soon. I remember playing Hogan's alley arcade machine back in the day. It was always a lot of fun. Hogan's Alley and Wild Gunman! @crimsontadpoles I'm still a bit skeptical that somewhere in the US there's a restaurant that has a fully functional Wild Gunman arcade cabinet. For starters, anyone who's owned a Zapper knows that those light guns don't last that long. Some interesting releases, that I shall certainly check out the trailers for on eshop. The NES zapper games just remind me of how stupid it was to release Operation Wolf on Wii VC without pointer support, because the Wii mote was created to give you the precision of a light gun coupled with button inputs. Hoping they re-release Operation Wolf and perhaps get Sega an Namco on board to do some of their classic light gun games on VC. Loved the House of the dead, Ghost squad and LA machineguns releases on Wii, along with the fantastic Overkill (where on earth is the sequel?). I saw the Zelda mention, and thought it would be a Virtual Console release or at least a discount. Oh well. At least there's Wild Gunman and Just Dance. Oh, and just to say I hope Just Dance absolutley tanks. That Resident Evil Revelations discount though. Wish we'd get it that low in the states. Has anyone who pre-ordered Dragonball Extreme Butoden received the SNES download code yet? My copy arrived on Friday but havent had anything yet? Tri Force Heroes for me physically. Got zelda on pyshical. With collectors pin set. Nintendo direct pending surely! They need to explain what is filling the Xmas gaps! Nintendo releases a light gun game to mark 30th for the back to future film and yet they let their own franchises birthdays pass without lifting a finger! If North America gets that discount on Resident Evil: Revelations, I might just bite on it. But otherwise, I am not too keen on anything listed. Gunslugs 2 and Hogan's Alley. Could even throw in Wild Gunman too if I'm feeling flush. Next Gumshoe, please! that's the best zapper game! NES zapper games and the 3DS theme I had no idea I even wanted (Ashley!!!!!). I'm tempted to quadruple dip with Resident Evil: Revelations, but I do not want to support Capcom for screwing us out of Revelations 2 on ANY Nintendo platform. I'll be going physical with Tri Force Heroes. 8 quid for Resi Revelations? Ok, I'll bite. @Shinnos Yeah, it doesn't make any sense and it's a waste of time and energy for the other players. Its cheaper to download Resident Evil Revelations right now for PC on Humble Bundle if you're quick. @Tsurii @Pahvi Back to the Future is celebrating its 30th birthday (release date) in 2015. But a more important thing is that the 21st october of the year 2015 is WHEN Marty and the Doc land in the future (in Back to the Future Part II). And if you remember this sequel, the protagonist plays a game of "Wild Gunman" in the cafeteria he visits. @FargusPelagius would be great only Sega just about ignoring the Wii u which is a shame with all the classics they're sitting on!! Also haven't seen one Taito Classic on Wii u except for Japan's Wii u! NOA is just terrible!! Who the heck is Ashley?? I'll be traveling by train for a total of 14 hours this weekend, with two friends, perfect time to pick up Tri-Force heroes.